Straw, grass, dust, cobwebs, sand and even gravel... these blowers do more than just blow leaves. 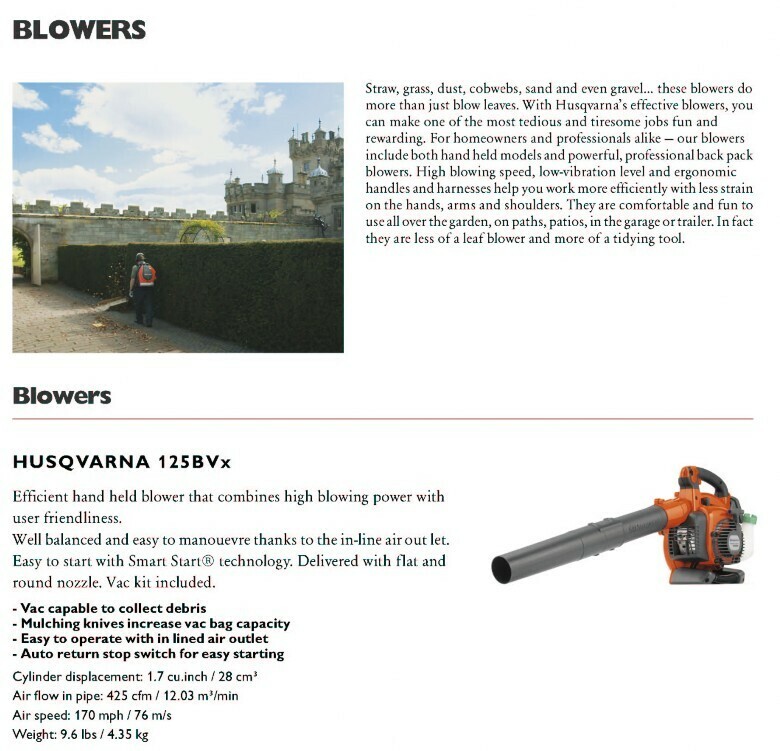 With Husqvarna’s effective blowers, you can make one of the most tedious and tiresome jobs fun and rewarding. For homeowners and professionals alike — our blowers include both hand held models and powerful, professional back pack blowers. High blowing speed, low-vibration level and ergonomic handles and harnesses help you work more efficiently with less strain on the hands, arms and shoulders. They are comfortable and fun to use all over the garden, on paths, patios, in the garage or trailer. In fact they are less of a leaf blower and more of a tidying tool.